Theresa May's Brexit deal suffered a crushing defeat on Tuesday night in the House of Commons after MPs rejected the prime minister's flagship policy by an overwhelming 230 votes. With Britain plunged into the deepest political crisis in half a century, the country's exit from the European Union is in disarray. Lawmakers voted 432-202 against her deal, an humiliating defeat for May, the biggest for any government in modern history, which leaves the UK government at the brink of collapse as opposition leader Jeremy Corbyn tries to force a general election. The political chaos has put back all options on the table, ranging from a disorderly exit from the EU or even to a reversal of the 2016 decision to leave. After the crushing blow from Westminster, the prime minister immediately rose to accept the verdict of MPs - saying she would welcome a vote of no confidence in the government. "The house has spoken and the government will listen," she said. "It is clear that the house does not support this deal, but tonight's vote tells us nothing about what it does support." The no confidence vote will be held this Wednesday at 7pm following a debate in the Commons, giving May less than a day to fight for her job. MPs will be asked to vote on a motion: "That this House has no confidence in Her Majesty's Government." However, with the DUP saying they will stand by their agreement with the Tories, a defeat for May is not certain. UK general elections are only supposed to happen every five years. The next one is due in 2022. But a vote of no confidence lets MPs vote on whether they want the government to continue. The motion must be worded: "That this House has no confidence in Her Majesty's Government." If a majority of MPs vote for the motion then it starts a 14-day countdown. If during that time the current government or any other alternative government cannot win a new vote of confidence, then an early general election would be called. That election cannot happen for at least 25 working days. The UK is due to leave the EU in 72 days. Michel Barnier has warned the British parliament to quickly determine "very clearly" what it wants in a new EU exit deal, but insisted the agreement overwhelmingly rejected by the UK parliament remains the "best compromise" Brussels can offer. "This vote is not a clear manifestation of a positive majority which would define an alternative project," the EU's chief negotiator told MEPs in Strasbourg. "It is up to the British government to assess the outcome and indicate how we are to take things." However, given the political upheaval capitals across Europe were ramping up their preparations to minimise the chaos and disruption of a possible no-deal Brexit. Dublin has hinted that even with general elections, the EU was in no mood to change Britain's EU withdrawal treaty een with the increased risk of a disorderly Brexit. Asked on Irish radio whether the withdrawal treaty was dead, Simon Coveney, Ireland's deputy premier replied: "We'll have to wait and see. There's an onus now on the British parliament and the British government to propose an alternative that's viable if we're going to avoid a no-deal Brexit — and I don't think that the EU is any mood to change the withdrawal agreement significantly at all." The rejection by Parliament of the government's Brexit deal could see interest rates cut, according to Richard Buxton, who runs the £1.7bn Merian Global Investors UK Alpha fund. "If a deal can ultimately be agreed, I believe we may see the Bank of England hike policy interest rates up to three times over the course of 2019. "Conversely, if the UK does leave the EU without an agreement, I would expect the Bank's Monetary Policy Committee to move rapidly to cut interest rates from their already-low levels. The resumption of monetary stimulus, in the form of quantitative easing would, in my view, be a possibility." Central banks typically cut interest rates when they expect economic growth to slow. 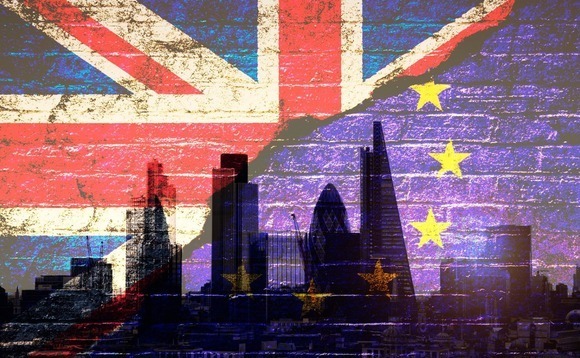 Ben Lofthouse, head of global equity income at Janus Investors said that "while a ‘hard Brexit' seems to be in few parties' interest, the events of the last year show how much business and investor sentiment can be impacted by political events". For Lofthouse "it's ‘wait and see' in terms of understanding the UK's future relationship with the European Union and as a result market uncertainty looks set to continue. Two and a half years after the United Kingdom voted to leave the European Union, it's finally entering the end-game but with no clear idea of the outcome. At this point, David Zahn, Franklin Templeton Fixed Income Group's head of European Fixed Income, believes financial markets are crying out for an end to the uncertainty, even if that means accepting the short-term pain of a Hard Brexit. "Extending negotiations seems to us to be the most likely outcome. But it brings with it more uncertainty. "Any extension has to be agreed unanimously by the other EU members. We'd expect some of them to seek particular concessions before agreeing. Plus, we'd question whether there's enough time before March 29 to secure approval from 27 different parliaments. "Some rumours from Brussels suggest any extension would be limited, perhaps only until the summer. The two sides have been negotiating for two years and haven't reached an agreement, so we'd question how much a two-month extension would change things. "In addition, we recognise that markets don't like uncertainty; extending Article 50 prolongs the uncertainty," Zahn said. The pound has shrugged off a massive government defeat in the House of Commons, perhaps because investors see the government's threat of a no deal Brexit as illusionary given the increasing control over the Brexit process that the legislative body is now taking, according to deVere. "It appears the British government is currently in brinkmanship mode. "Mrs May says she is not ‘running down the clock' to the deadline of 28th March, but in all likelihood she will be re-submitting her Brexit plan with only a few minor tweaks, and so taking up government and parliamentary time that could perhaps be spent exploring other options that can command more support from MPs. In all probability the government will seek an extension to Article 50. "The longer the Brexit process is extended, the less chance of a no deal and greater chance there is of a second referendum that will reject Brexit, or a soft Brexit. This will please global financial markets and favour the pound and UK financial assets," said deVere CEO, Nigel Green. He added: "Following the leader of the opposition Labour party, Jeremy Corbyn's tabling of a vote of no confidence, there is greater chance of a general election. But in normal times this would spook the markets and have a directly negative impact (in the short-term at least) on the pound, the FTSE and UK financial assets generally. Miles Celic, head of TheCityUK, said: "The outcome of today's vote prolongs uncertainty and will continue to depress business confidence. The lack of clarity on the path to an orderly Brexit risks disruption and financial instability on both sides of the Channel. We urge the government and MPs to carefully consider the options without delay and put forward an economically sensible way ahead. A no deal outcome is not in the best interests of customers in the UK or the EU." Eric Lonergan, fund manager at M&G Investments, said that "the relatively trivial response of sterling to the overwhelming rejection of May's deal by parliament suggests to me that markets are not particularly troubled by Brexit. "A material change at this point would either be parliamentary legislation in support of an alternative, i.e. Norway, or a no deal exit. Neither looks likely, so stasis continues," he added. David Lafferty, chief market strategist at Natixis Investment Managers points out the shrinking set of options available to Theresa May. "Our view since the referendum has been that a negotiated or soft Brexit would be difficult to achieve. Last night's vote was just the next step confirming how weak the UK position has been throughout the negotiation. Perhaps at the margin some MPs will now reconsider how dire the situation is staring down the barrel of a March 29th deadline, but we think the chance of a deal passing in parliament now is less than 20%. "May's shrinking set of options include revoking article 50 - which she says she won't do, calling for a 2nd referendum - which she won't support, or crashing out of the EU without a deal - which she views as somewhere between reckless and disastrous. "From our view, the most likely outcome is that May acquiesces and either delays or revokes article 50, effectively pushing the ‘pause button' just before the train flies off the tracks. UK businesses and consumers should expect to live under continued uncertainty for quite a while longer. It is important to recognize that the Brexit referendum was about an ideal - a United Kingdom independent of the EU. So far, that ideal has not been matched by a realistic plan or process to deliver it. Until such a plan emerges, the withdrawal process will probably be put on hold." Whatever happens to May and her Brexit deal, the clock is ticking.